We only have a few more days of operations left and just over two days in which to recover more core material during this expedition. Although we are all excited to go home we all want to finish the expedition well with some interesting new sediments from deep in the Arabian Sea. You can see the scene on the catwalk yesterday as one of our cores returned. What a difference a few days makes. Now we have very high recovery and lots of material to describe and sample which makes everybody feel good even though we are also busy as a result. We are now almost 1 km below the seafloor and recovering some really unique material. 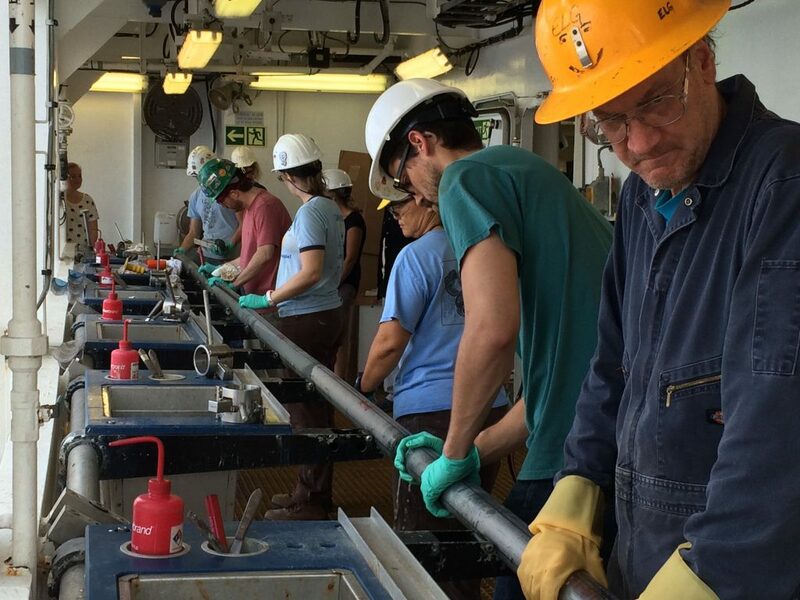 It’s interesting to find that our predictions are often in error when we drill compared to what we were expecting but then that is the excitement of actually doing this work rather than just sitting in the office and fantasizing about what is at the bottom of the Indian Ocean!